In the tragic aftermath of Hurricane Harvey those in flood prone areas are surely thinking it’s moments like this that you’re grateful for that insurance coverage, but soon that may no longer be the case. Do you have a home or listing on the market? Do you live in or own a home/condo in a designated flood zone? Are you planning to close on a property anytime near or after September 30th? The current National Flood Insurance Program (aka NFIP) is set to expire on September 30 of this year. If the program does not have re-authorization by Sept 30, no properties located in a flood zone will be able to have NFIP insurance. The only option in that case would be to purchase private insurance which is significantly more expensive. Make sure you move up the closing to on or before 9/30/17. They should be shopping for flood insurance now. 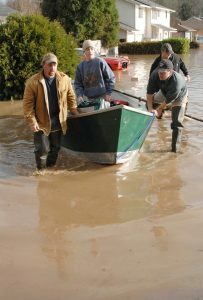 It can take up to two weeks to finalize flood insurance, and flood cannot be collected for at closing – they must pay the first year’s premium at the time of application. This will also affect any renewals that are set to take place on or after Oct 1. For real estate agents, renewals are not typically a concern…. With one exception. Condominiums. If they have a listing in a condo complex that is in a flood zone, like most of Downtown Tampa, they should inquire when the master flood policy is up for renewal. If it falls in the first few days of October, this could be an issue for any units set to close. Again, move up the closings if possible. Keep your communication lines open with your trusted insurance providers. Our team at Majesty Title will work aggressively to meet your needs and keep everyone calm during this time of change! !